Photo of a country bedroom in San Francisco with white walls and dark hardwood floors. This is an example of a country front door in Tel Aviv with a double front door and a medium wood front door. 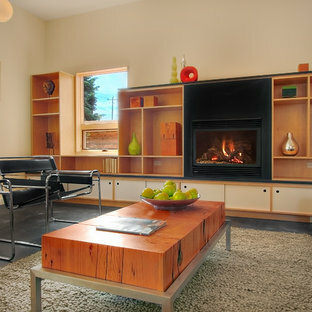 This single family home in the Greenlake neighborhood of Seattle is a modern home with a strong emphasis on sustainability. The house includes a rainwater harvesting system that supplies the toilets and laundry with water. On-site storm water treatment, native and low maintenance plants reduce the site impact of this project. This project emphasizes the relationship between site and building by creating indoor and outdoor spaces that respond to the surrounding environment and change throughout the seasons. 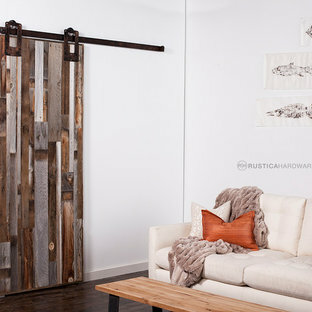 A reclaimed wood door is warm and inviting and adds character to any room. What is its history and what stories can it tell? 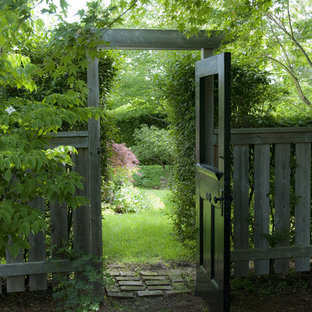 That is the magic behind these rustic doors. 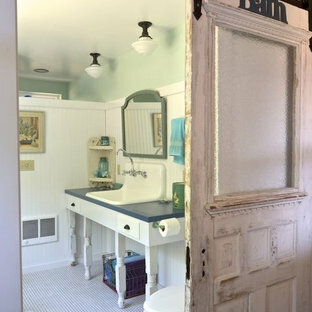 Traditional bathroom in Boise with white cabinets, a two-piece toilet, green walls and a drop-in sink. Traditional Colonial gets the face lift it needs to create an inviting and kitchen and family room for comfortable, easy living. Robin was chosen as the on-air interior designer for the Lexington installment of This Old House. 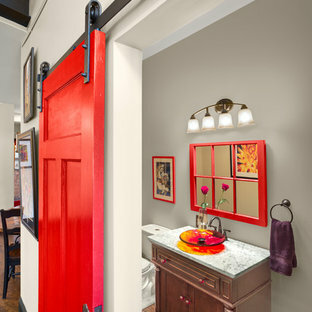 Inspiration for a traditional entryway in Atlanta with a red front door. Custom Built arched pocket doors lead to new family room addition. Photo by Michael Penney. Design ideas for a traditional enclosed family room in Boston with red walls. Design ideas for a transitional loft-style living room in Austin with white walls and no fireplace. 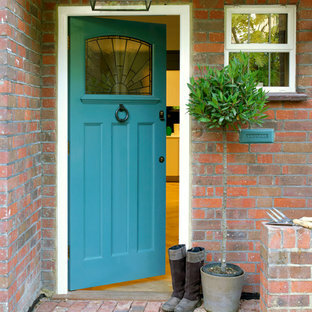 Design ideas for a country front door in West Midlands with a single front door and a medium wood front door. Inspiration for a large traditional front door in Denver with a single front door, a blue front door and grey walls. Photo of a small country one-storey grey exterior in Atlanta. 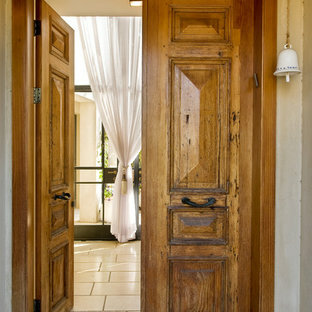 Photo of a mid-sized beach style front door in Los Angeles with a dutch front door, a blue front door, white walls and limestone floors.